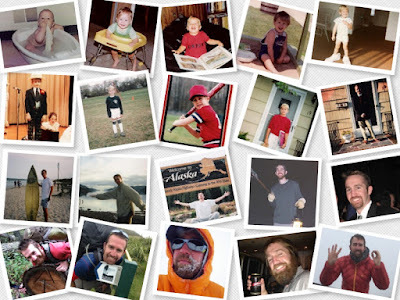 Life Less Ordinary: Happy 40th Birthday Justin! My first impression of J was that he was "so cool." His smile won me over almost immediately ... and it still does. Even though we are going on 10 years married (Oct. 28), I am not surprised I fall deeper and deeper in love with Justin as every year passes. I thought one of the best ways to wish him a happy birthday would be to recant the story of how I met him, since I never put it in writing! It is 7pm on August 14 and the outdoor temperatures are still in the 90s. I pull up to my regular Wednesday night meeting with the Take A Hike Club of Arizona at Four Peaks Brewing Company in Tempe. The average age of Take A Hike members is 35, so I am one of the youngest members at age 24. Tonight I am flying solo, as my good friend, Amy, can't make the meeting. The club follows the usual agenda: drinks, mingling, club business and upcoming trips. They end the "meeting" by asking if anyone is new to the club. A young man my age stands tall and follows the drill about telling where he is from and his favorite hobbies. "My name is Justin and I just moved from New Jersey to go to grad school at ASU," my heart skips a beat as he speaks. "I love music, hiking, camping and rock climbing." After the meeting officially closes and more socializing ensues, I beeline to Justin. "Hi, I'm Patrice and I'm from Jersey too!" I offer excitedly. We do the usual exchanges about Jersey (contrary to what people think, we do NOT ask what exit). As it turns out, we spent our most formative years not knowing each other just miles away from each other in NJ. I wouldn't be surprised if we crossed paths at Mennen Arena or a diner. Our conversation that first night in August 2002 was flowing like a river and I'd like to say we closed down the bar, but Justin had to leave at 10pm to go tutor. A girl. In Statistics. At 10pm. A girl. At 10pm. I left thinking, gosh this guy is cute and way cool, but he is most likely dating this "girl he is tutoring." Weeks later in September, I went back to a Wednesday Take A Hike meeting. As I was walking into the bar with my friend Amy, I saw Justin pull up in a parking spot. He smiled and waved as he passed me in the lot. "My Jersey crush is here! My Jersey crush is here!" I felt like I just won the lottery as I shook Amy's shoulders with fury. After the regular meeting, Justin and I cornered a private table at the bar and got to know each other a little better. He told stories about his friend's band in NJ and all the shows. What I knew about music at the time could fit into a fortune cookie, but I smiled and nodded like I did. Despite my lacking knowledge, we hit it off again. "Do you want to go for a hike together sometime?" I suggested innocently, still unaware if he was dating this girl he was tutoring. We made plans to get together (as friends) on October 13, 2002. Our date started at 11am. We never did go hiking. We just sat and talked for hours. I discovered a lot about him on that first get together. I discovered he wanted to someday thru hike the Appalachian Trail. I discovered he wanted to someday visit Alaska. I discovered that he wasn't dating that girl he was tutoring. I discovered he was my soulmate. 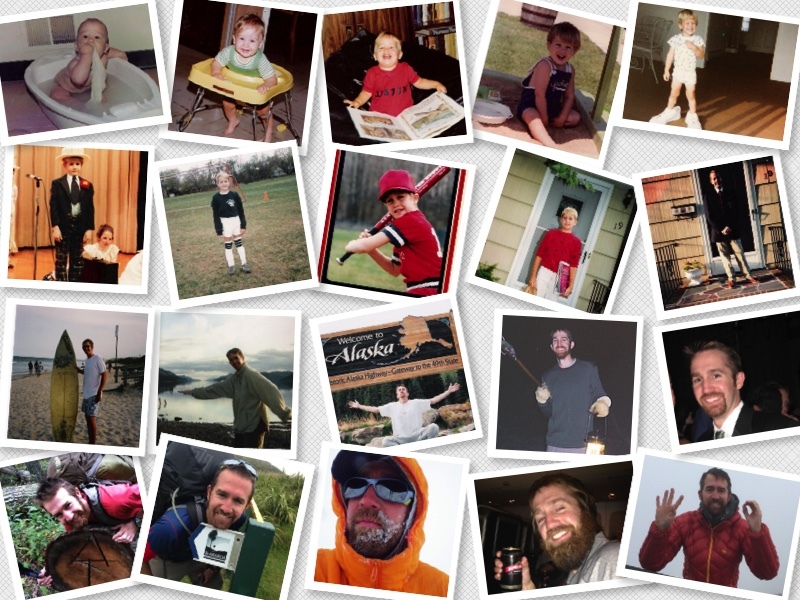 Happy 40th to the man who always dreams bigger than anyone can imagine, always has a comeback, always makes a joke, always puts others before himself and always has my heart.